Rug cleaning is often the last thing on our minds as the year begins to draw to a close. As the days warm up and the end of the year gets closer, we know party season is approaching. The AFL Grand Final, Cup Day, Christmas and New Year are approaching faster and faster and our thoughts inevitably turn to entertaining. Whether it is a family gathering, or surprise house party, spills and stains will happen. The law of probability states that if it can be spilled, it generally will be spilled. Wine, beer, food, dips and sauces, dirt, and even lipstick and nail polish can find its way into the delicate fibres of your rug. Stains are part of everyday life but knowing what to do when a stain happens is important to ensure the best result for your rug cleaning. Don’t scrub at the stain or liquid. 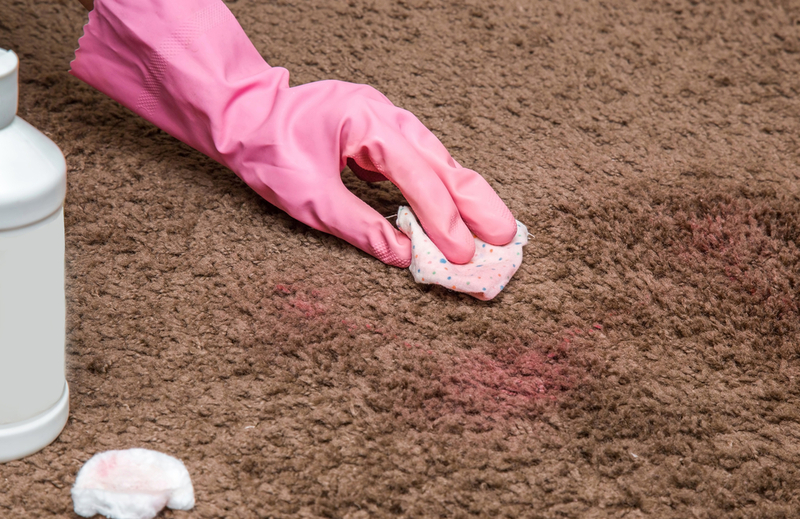 Scrubbing can cause the stain to seep deeper into the rug, making the mark worse. You can also inadvertently damage the fibres of your rug. This can make the stain harder, or even impossible, to remove. Many misinformed sources and blogs say to iron the stain to remove it. This is definitely NOT something you should do to your rug. A best, the iron runs the risk of scorching your rug. At worst, you can actually melt the fibres. When this happens, your rug is ruined. No amount of rug cleaning can repair a scorch or melted section of a rug and you will need to go through the expensive process of replacing it. 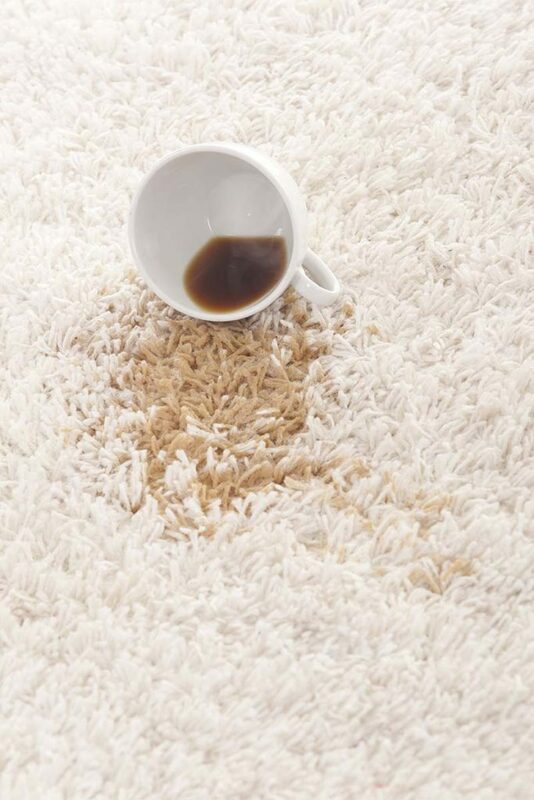 As soon as you see the spill on your rug, try to contain the spill. This means scooping up any solids and blotting up any excess liquid. Use paper towel, a tea towel or rag to gently clean up any liquids. When you are no longer blotting liquid up, leave the stain alone and call a professional rug wash as soon as possible. There are any number of rug cleaning products on sale these days. But very few, if any, are formulated to deal with different kinds of fibres and materials. You can spend countless hours trying to clean your rug at home, only for it to get worse. The chemicals in home cleaning products can discolour your rug fibres or even destroy them altogether. It is better to leave the cleaning for professionals, especially in the case of expensive, antique rugs. 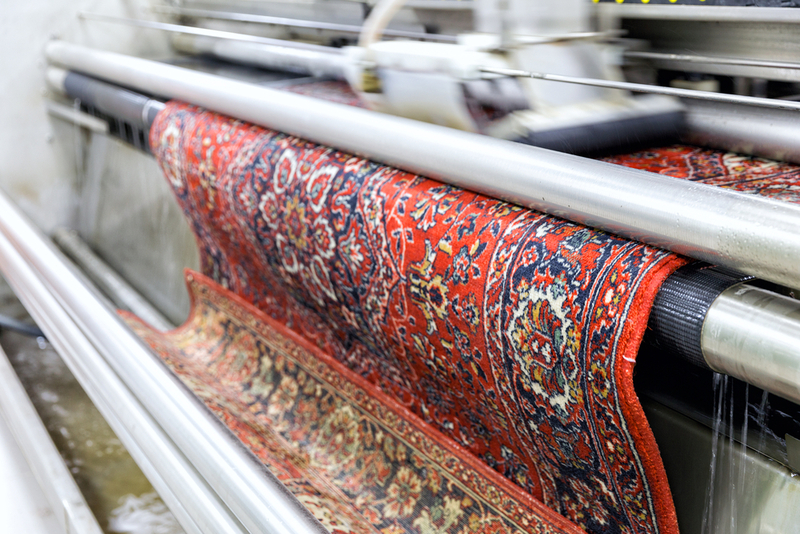 Woods Rug Laundry specialises in working with delicate, expensive rugs. Contact us today to find out more about our rug cleaning services.